What kind of place stimulates creative minds and sparks a surge of invention and innovation? The answer may surprise you. Journey through time and place to discover the stories of people who lived, worked, played, collaborated, adapted, took risks, solved problems, and sometimes failed—all in the pursuit of something new. The exhibition examines what can happen when the right mix of inventive people, untapped resources, and inspiring surroundings come together. 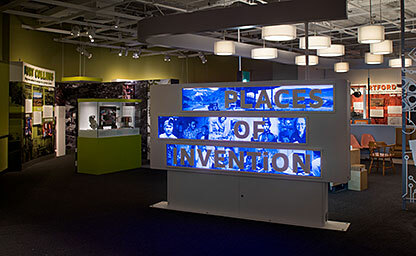 Related website: Tell us your places of invention stories!